Did someone say unlimited bibimbap? (SPOT.ph) Restaurants are celebrating their anniversaries this week: Chili's has a P19 deal while Buffalo's Wings 'n' Things has wings at half price. Plus, birthday deals, unlimited bibimbap, two-for-one beers, and proof that the early bird gets the—bread! Loading up on carbs? 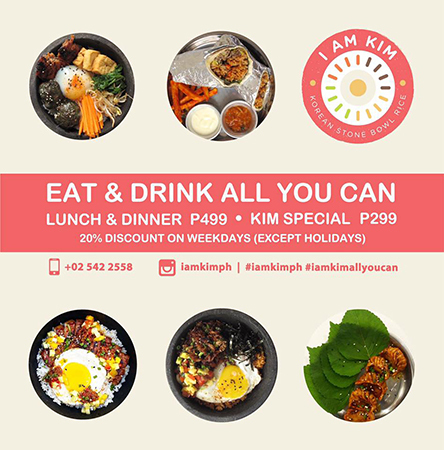 Enjoy unlimited I Am Kim for lunch or dinner for only P499 or unlimited Kim Special for only P200. You can also get a 20% discount on weekdays! I Am Kim is at Estancia Mall, Capitol Commons, Pasig City. The year's off to a good start, thanks to Big Guys Pizza. 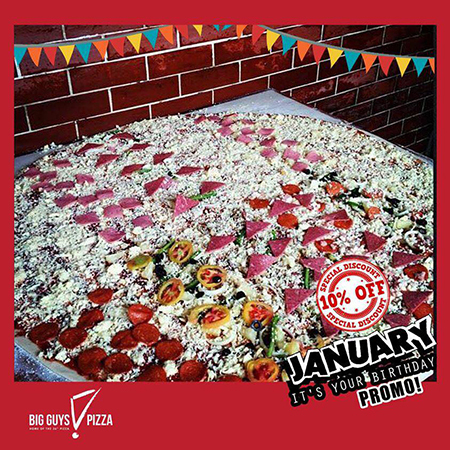 January birthday celebrators can get 10% off because birthdays are best spent with more affordable pizzas! Click here for a list of Big Guys Pizza branches. 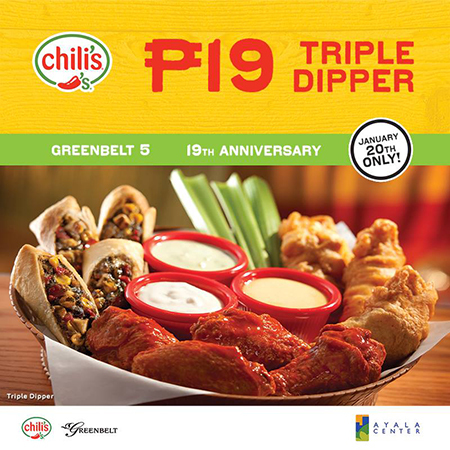 It's the 19th anniversary of Chili's at Greenbelt 5. So, on January 20, they're offering their Triple Dipper appetizer for only P19. 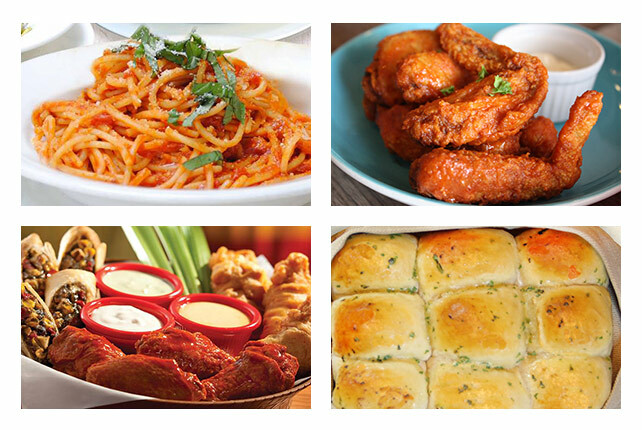 Drop by Buffalo's Wings 'n' Things' flagship branch at Solaris One, Makati City, on January 19. 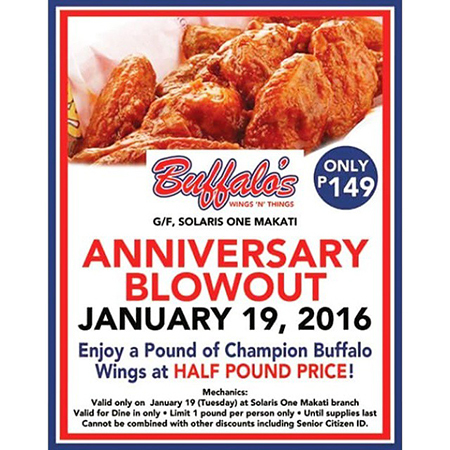 They're selling their one-pound Champion Buffalo Wings for only P149—that's the price of a half-pound! Each person is limited to only a one-pound order. 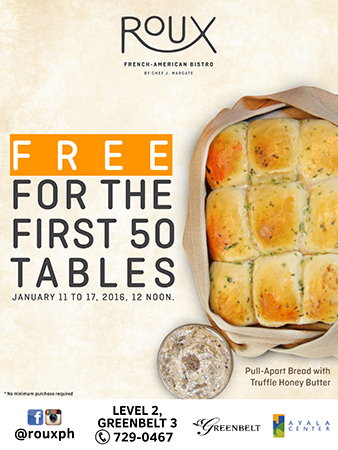 Every day this week, the first 50 tables starting at 12 p.m. will get free pull-apart bread with truffle honey butter. It ends on Sunday. Roux is at 2/F Greenbelt 3, Makati City. 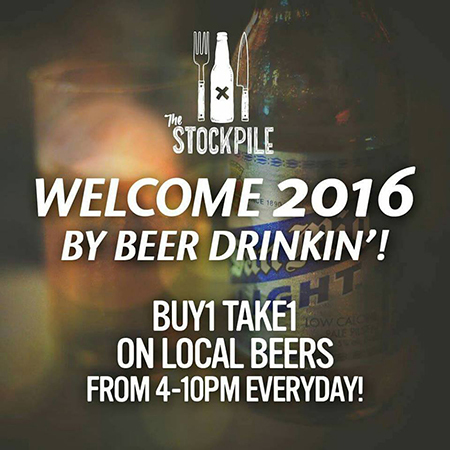 The Stockpile is still celebrating the new year! 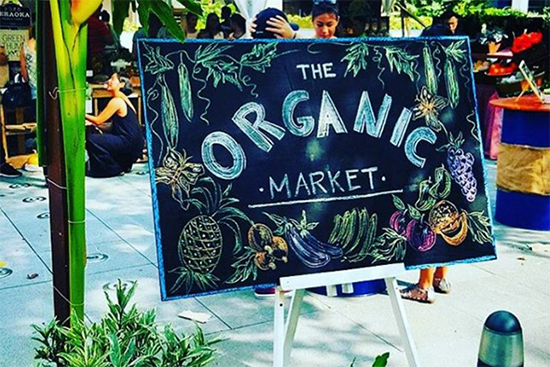 From 4 p.m. to 10 p.m. every day, you can buy two local beers for the price of one! The Stockpile is at The Sapphire Bloc, Sapphire Road, Ortigas, Pasig City. 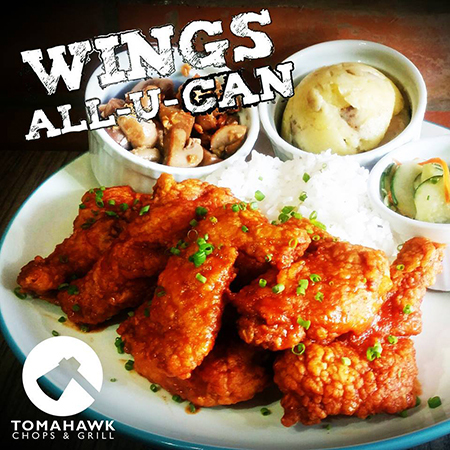 Due to popular demand, Tomahawk is extending their unlimited wings yet again—this time until the end of January. 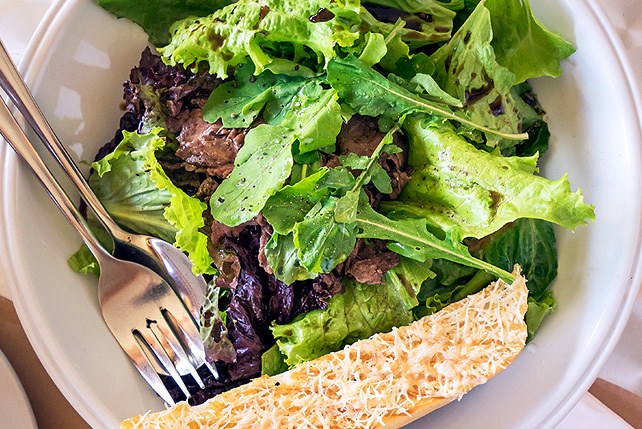 It's priced at P375, and comes with unlimited rice, unlimited iced tea, and one side. Read more about Tomahawk's promotion. We're back to bottomless pasta! Every day this month, from 2 p.m. to 6 p.m., this enduring deal will be at the Robinsons Forum branch in Mandaluyong City. 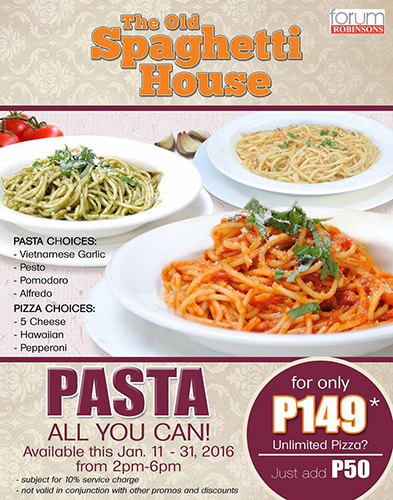 Remember: P149 for your unlimited fill of four pasta flavors; add P50 for unlimited pizza. Order a meal, order a side dish, order a drink. 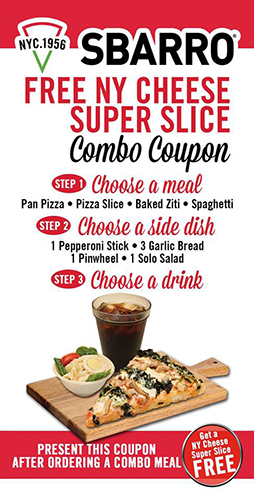 Accomplish these three steps, and you get a coupon for a free Super Slice of NY Cheese from Sbarro. Subway finally has a group deal! For P550, you get four sandwiches, two bags of chips, four drinks, and two cookies! It's a steal! 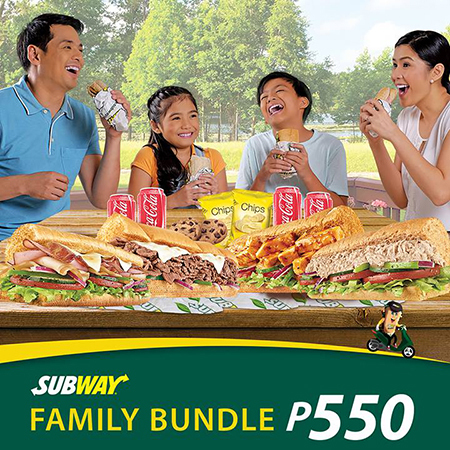 Click here for a list of Subway Philippines branches.